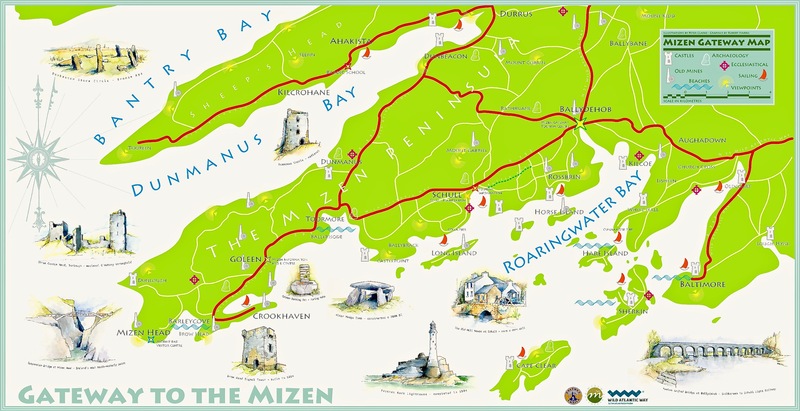 Here’s the Mizen Peninsula shown on a map drawn by Robert for the Bank House tourism centre in Ballydehob and embellished with Peter Clarke‘s exquisite watercolour sketches of just some of the places that should not be missed by visitors to West Cork . . .
. . . And here is another rendering from Peter of one of the ancient sites that everyone goes past when travelling to the far west: possibly one of the most accessible pieces of archaeology on this section of the Wild Atlantic Way. 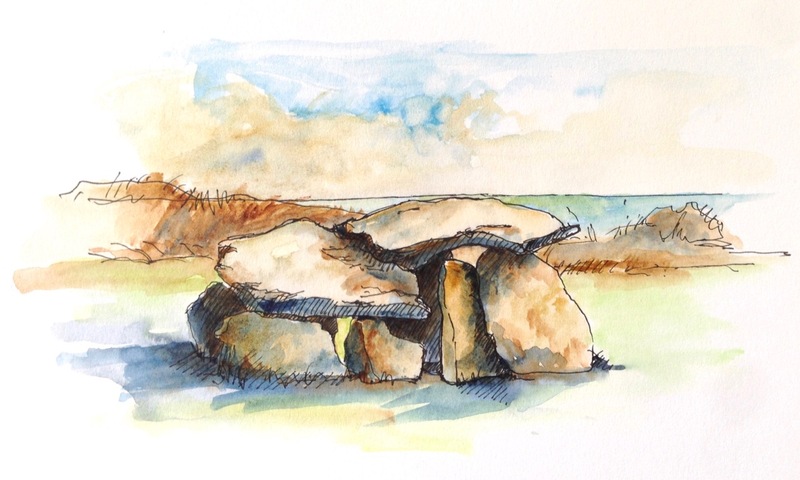 It’s the Altar Wedge Tomb at Toormore Bay. It’s early February, and Imbolc has passed. That means that Springtime has officially started here in Ireland. Sure enough, we looked out over a sunlit Roaringwater Bay this morning: soon we were heading out towards Goleen, Barley Cove and all points west. We stopped at The Altar and had it all to ourselves. You can see here that it’s orientated towards the Mizen Peak – that sharp little pyramid which is right on the centre of the picture – and lies to the west. For me, there’s a perfectly natural symbolism about placing the dead in a tomb that is aligned on the rising and the setting of the sun: that’s something we still do, several thousand years on! 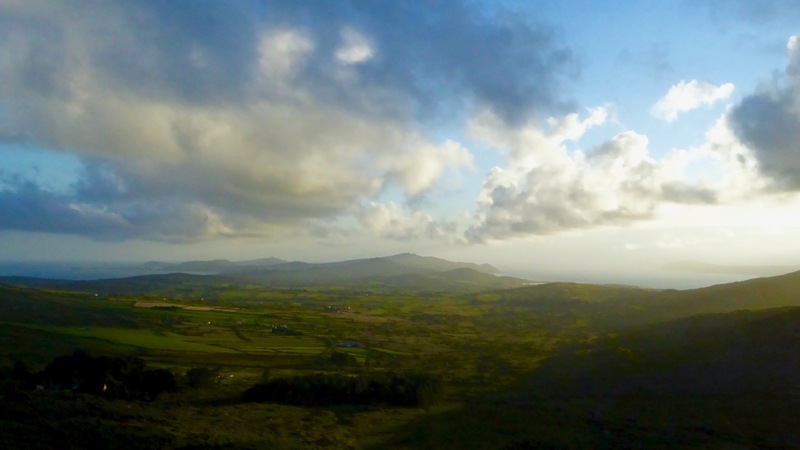 The upper picture, taken on the Winter Solstice, shows the Mizen stretching away from the heights of Mount Gabriel: the Mizen Peak is the little pointed blip just left of centre. 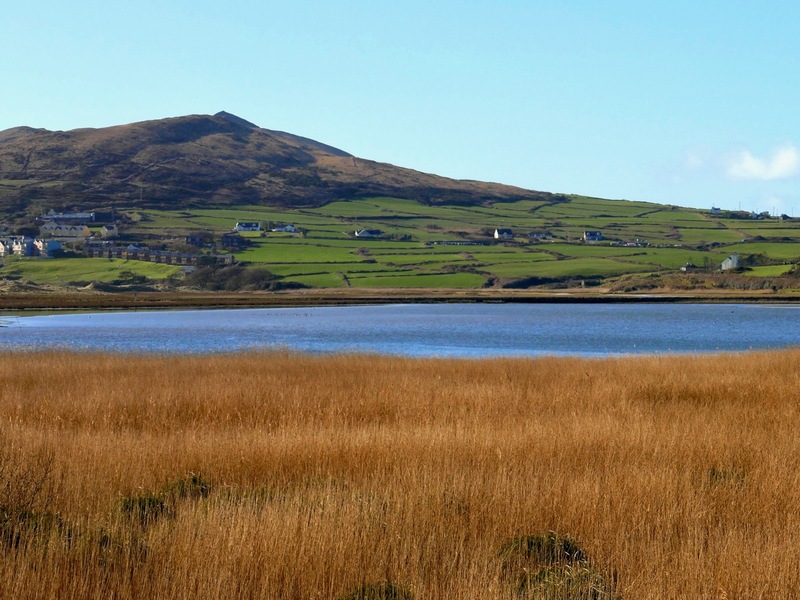 The lower picture looks across the wetlands behind the sand dunes at Barley Cove, and was taken today in the Spring sunlight: the Peak is clearly visible as the highest point. I believe that our forebears attached great importance to high places, as many stone monuments and Rock Art often seem to be placed in the landscape with commanding views towards hilltops. Mike Wilson’s site Mega-What sets out his detailed studies of the orientation of ancient sites within the natural landscape. Here is his analysis of the setting of the Altar Wedge Tomb. I am always alert for the ways in which our special sites are interpreted for us. 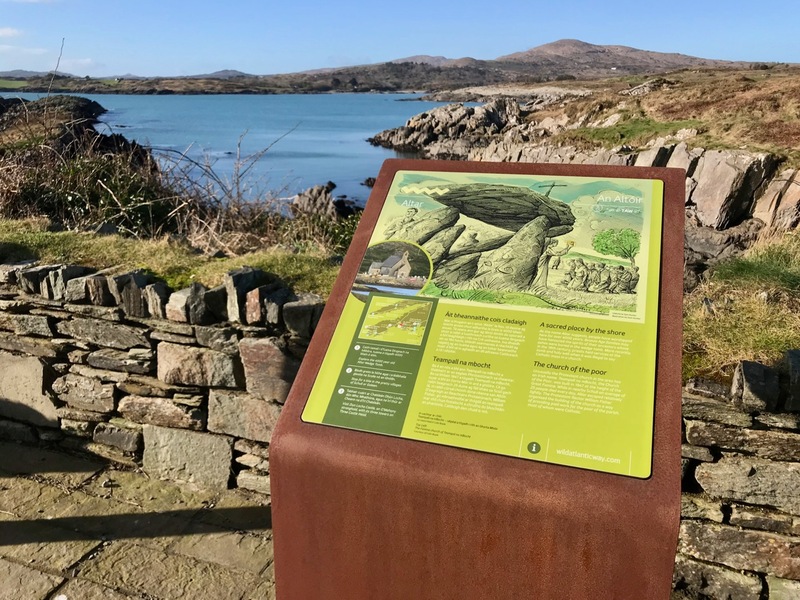 I created a bit of a storm a while back when I commended the signage which has been put in place along the Wild Atlantic Way using visually strong corten steel elements (above left) supplemented more recently by (in my opinion) very well designed information boards. 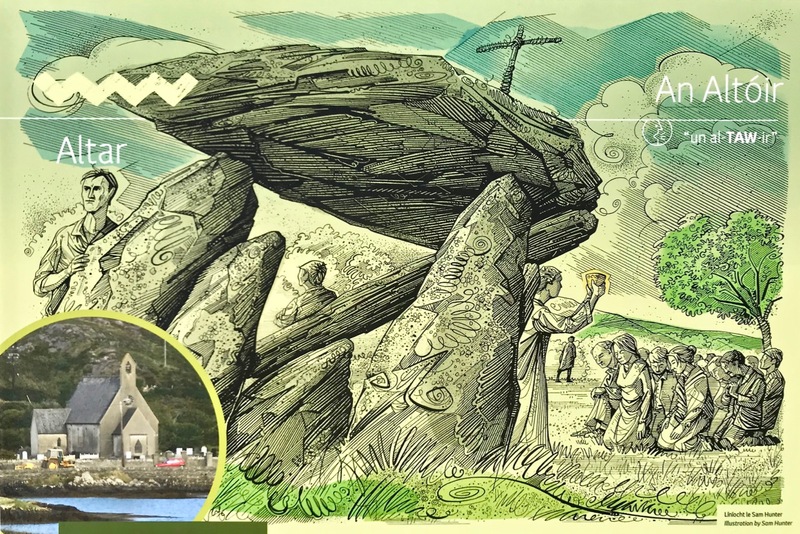 The image on the right above is from an earlier OPW board which explains the possible early use of the wedge tomb, while the images below show the new signage, which features the later use of the tomb as a Christian altar during the Penal times (hence the name: The Altar), with a drawing by Sam Hunter. I am struck by the way this monument has been a focal point for differing rituals spanning countless generations. When writing about archaeological subjects I am always on the lookout for the way that antiquarians saw the sites which we are familiar with today. I had hoped that George Victor du Noyer – the subject of an excellent recent exhibition in Cork’s Crawford Gallery – might have drawn this wedge tomb when he travelled the country for the Ordnance Survey during the early nineteenth century: he may well have done, but the annotation and cataloguing of his vast legacy of work has yet to be completed and I have not found such a record. His drawings below are not of The Altar, but a portal tomb, Ballybrittas in County Wexford. 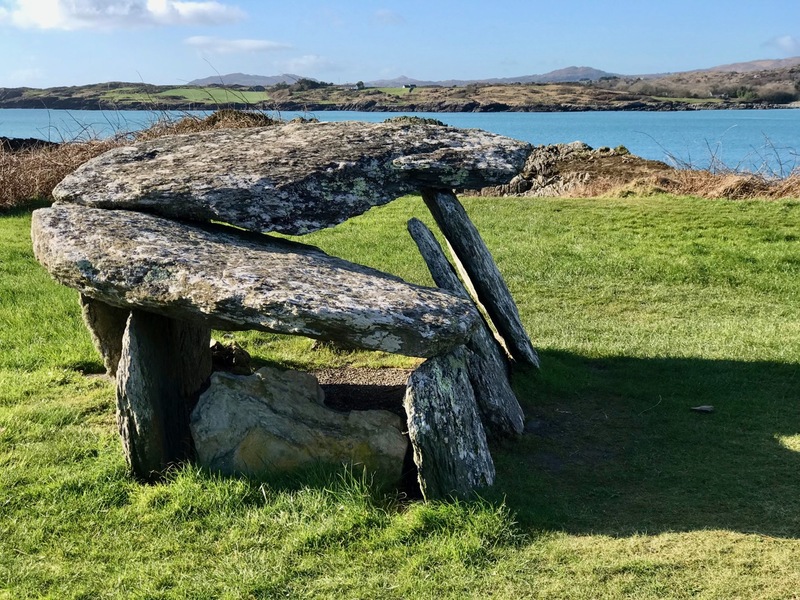 Portal tombs (sometimes known as dolmens) share similarities with wedge tombs, but are earlier, dating from between 3000 BC to 2000 BC, while wedge tombs tend to be associated with the Bronze Age, which followed this period. Cremated remains were found in Altar Wedge Tomb when it was excavated in 1989 by Dr William O’Brien, now Professor of Archaeology at UCC. We can never know exactly what the significance of these impressive structures was to those who built them. For me, I’m pretty sure that it was connected with their relationships to, and respect of, the landscapes which they inhabited, and which they invested with meaning. They must certainly have paid heed to the passing of the seasons and the continual cycles of nature, and their closeness to all of this must have given them an inherent knowledge of the paths of the sun, moon and stars. Above all, our ancestors had to understand and appreciate the environment around them, and make it work for them. In a practical sense, certainly, but also in terms of the stories they might pass on about the meaning of places. 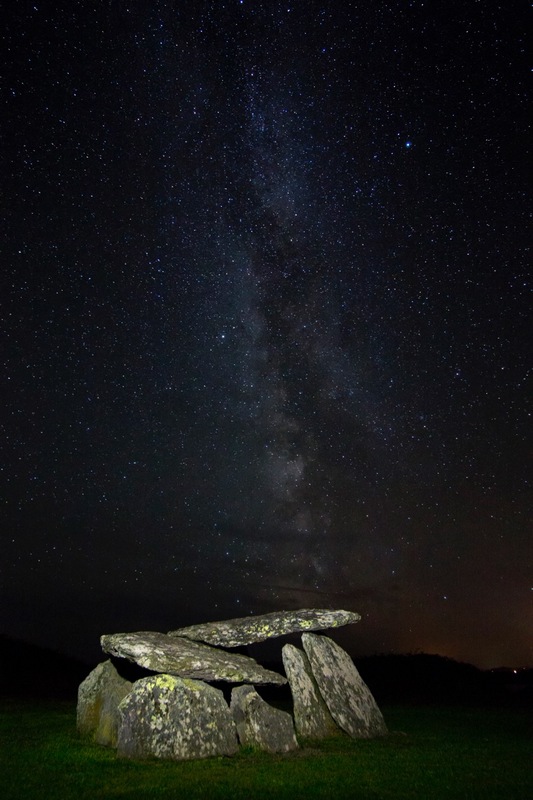 The tailpiece picture, which is from Wikimedia Commons, attributed to Lukeoc88, is a remarkable timeless view of a human construction in the setting of our Universe: Altar Wedge Tomb under the Milky Way. This entry was posted in Archaeology, Cork, Irish History, Irish Landscape, The Mizen Peninsula, West Cork, West Cork Blog, Wild Atlantic Way and tagged Altar Wedge Tomb, Ballybrittas, Ballydehob Bank House, Crawford Gallery, George Victor du Noyer, Mass Rock, Mega-What, Mike Wilson, Mizen magic, Mizen Peak, Peter Clarke, Professor William O'Brien, Sam Hunter, UCC, Wikimedia Commons. Bookmark the permalink. 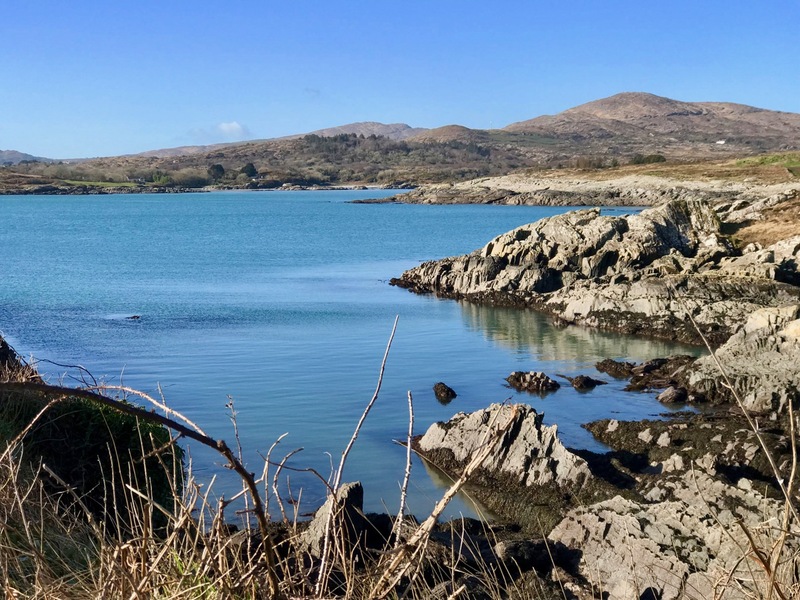 Your blog and the Beara tourist website speak very highly of Murphy’s book: “The Prehistoric Archeology of the Beara Peninsula” but I can’t seem to find a copy of it in print anywhere. 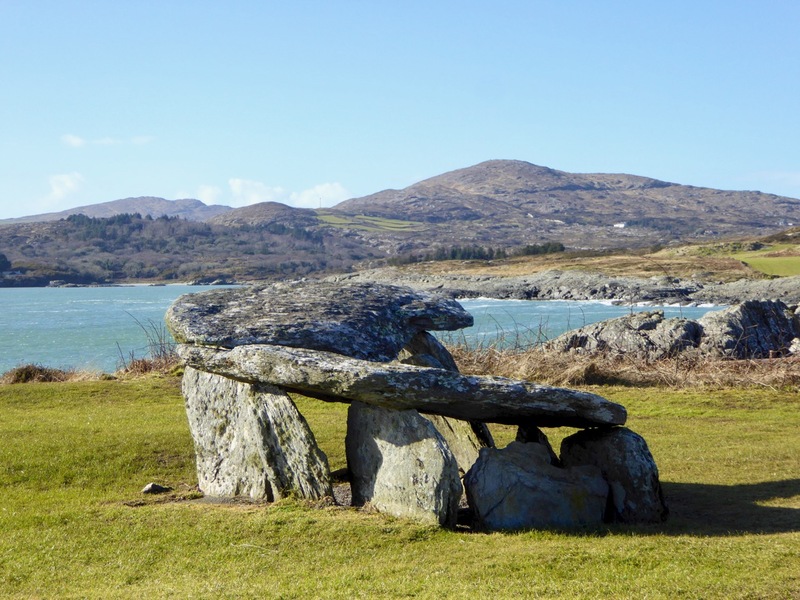 My wife and I will be staying the month of April in Tragumna, just south of Skibereen and are looking forward to exploring some of the older archealogical sites on Beara during our stay. This book would obviously be very handy for planning our time there. Would either of you happen to know how we could find and purchase either a new or used copy? The accompanying map looks like it would be very helpful besides all the historical descriptions and insights. BTW, I am enjoying the photography on your blog and your trips and posts! Great work! Hello Dave – we have seen copies in the Bantry Bookshop – http://bantrybookshop.com/. Good luck! Great article & photos of ”Gods own country” the Mizen !! Yes – I think I would thoroughly agree with that description of the Mizen! The Pagans understood why things exist including the universal layout and directions. Christians used the pagan sites and knowledge to promote their fiction. Denis, it’s my view that every age and every group has its fictions – and it all makes interesting history! Particularly important today, though, is that we all respect each other and look after the world we live in. Thanks Robert! That last photo is amazing. Thank you, Peter, for contributing! Some evocative drawing and photos of this remarkable place. It’s retained its presence throughout the millennia. And of course there’s a holy well near by! Yes, I was going to try to get in a mention of that well, but ran out of time! Thank you – we enjoyed drawing it. Wonderful post! Thank you so much.